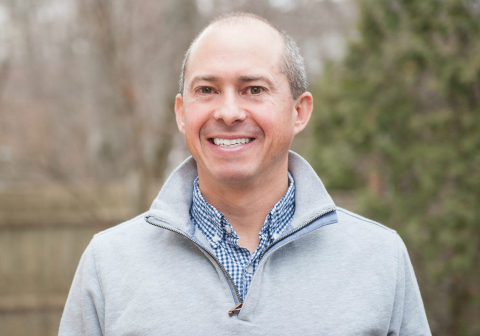 Jay Gonzalez, the newly minted Democratic nominee for governor of Massachusetts, on Wednesday called for the rejection of outside spending in his race against first-term Republican Gov. Charlie Baker. Gonzalez, who previously served as secretary of administration and finance for former Gov. Deval Patrick (D.), beat progressive activist Bob Massie in Tuesday's gubernatorial primary. In a statement released shortly after securing victory, Gonzalez lambasted the clout special interests have in the elections process. "We need to come together to reject the type of dark money from wealthy special interests that too many regular people rightly fear speaks louder than they do in influencing elections," Gonzalez said. The candidate called for an outright repudiation of outside spending in the governor's race, asserting Bay State voters deserved an election free of "outsized influence." "We owe it to the people of Massachusetts to make our case directly to voters without the outsized influence of special interests and outside money," Gonzalez said. "I call on Charlie Baker to join me in making a People’s Pledge and to demand the Super PACs and dark money third-party groups stop trying to have outsized influence over our elections." Gonzalez elaborated his "People's Pledge" for limiting outside political spending is directly modeled off the agreement struck between then-candidate Elizabeth Warren (D.) and then-Sen. Scott Brown (R.) in their 2012 matchup for the U.S. Senate. The call comes as the incumbent is overwhelmingly favored to win a second term this year. Baker has consistently ranked as the most popular governor in the country, an especially strong feat for a Republican in a state where the president's disapproval rating is above 50 percent. Popularity aside, the governor isn't taking his re-election for granted and has amassed a campaign war chest of over $8 million for the general election, with $6.3 million on hand at the end of August. Gonzalez, on the other hand, had $188,000 in cash on hand after the Democratic primary. Complicating matters further for Gonzalez is that the Democratic Governors Association and other national groups have been wary to invest in the race, while the Republican Governors Association has already spent $2.4 million in support of Baker. The incumbent's fundraising prowess has already had some unexpected consequences. In April, Gonzalez became the frontrunner for the Democratic nomination when Setti Warren, the former mayor of Newton, Massachusetts, dropped out of the race citing "insurmountable" fundraising challenges. Warren—an erstwhile former staffer for John Kerry, Iraq war veteran, and former U.S. Senate candidate—had led the race in polling and money prior to his departure; however, his efforts were dwarfed by the Republican incumbent on both fronts. In announcing the withdrawal of his candidacy, Warren said there was no visible path to raising the money required to "run a campaign" with "the capacity to win." Apart from trailing the incumbent in fundraising, the Democratic nominee also lags far behind in name recognition. A May poll by WBUR-FM, Boston's largest National Public Radio station, found Gonzalez had a 4 percent favorable rating among registered voters in Massachusetts, with 79 percent of voters stating they've never heard of the candidate. The poll showed Baker held a 67 percent favorable impression amid overall respondents, with only 5 percent of voters unfamiliar with the governor. The challenger's numbers don't look any better among his fellow Democrats in the heavily blue state. A June poll by WBUR conducted among likely Democratic voters found only 16 percent of respondents had a favorable opinion of Gonzalez, while 61 percent had never heard of him. In comparison, the same poll showed 68 percent of Democratic voters had a favorable impression of Baker. Baker's approval ratings are slightly higher among likely Democratic voters than Republicans, 66 percent of whom hold a favorable view of the governor. The incumbent's crossover support bodes well for his re-election, especially given that registered Democrats outnumbered Republican by over one million as of August 2018, according to the Massachusetts secretary of state's office. Officially, the governor has not responded to Gonzalez's call for a ban on outside spending. Terry MacCormack, a spokesman for Baker's campaign, did tell The Republican the incumbent would continue to abide by existing campaign finance laws in the general election. "Governor Baker and Lt. Governor Polito are proud to have broad, bipartisan support for their approach to governing and reaching across the aisle to deliver results for the people of Massachusetts," MacCormack said. "The campaign will continue to comply with the letter and spirit of all Massachusetts campaign finance laws and regulations." This entry was posted in Politics and tagged 2018 Election, Charlie Baker, Democratic Party, Governor, Massachusetts. Bookmark the permalink.